Holdsworth House clinical research unit has participated in research since our Sydney practice was founded, and the semi-autonomous research unit has grown to become one of Sydney’s most ambitious and comprehensive. Holdsworth House Clinical Research has a long history of conducting studies in HIV and infectious diseases, and more recently have expanded our therapeutic areas to include dermatology, respiratory medicine, immunology and general medicine. Our Clinical Research team take pride in their high recruitment and retention rates and strive for optimal patient care and high quality standards at all times. Our Clinical Research team consists of a dedicated team of study coordinators, research nurses and a clinical trial assistant. Drawing on many years of experience in clinical trials, our investigators include both general practitioners and clinical specialists, all of whom undergo regular training in GCP and specific study procedures. Our Clinical Research Unit is conveniently placed within Holdsworth House Medical Practice. Our dedicated, secure space includes a temperature-controlled laboratory for processing and shipping of specimens and storage of investigational product. We have alarmed and monitored refrigerators and freezers, an incubator and a refrigerated centrifuge. Our research staff are IATA certified and proficient in venepuncture, spirometry, ECGs and other clinical assessments. All staff are regularly trained in GCP and are competent in using various eCRFs, including INFORM, Oracle, iMedidata and Viedoc. Facilities are available for CRAs to conduct their monitoring visits with access to computers and relevant study documents. 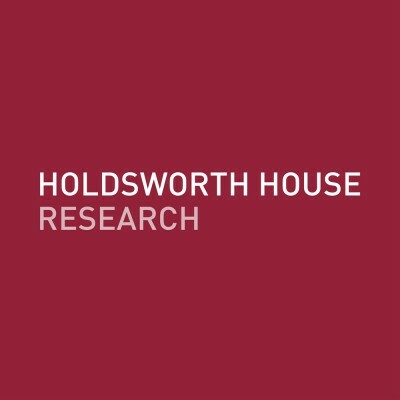 As an independent body, Holdsworth House Clinical Research can use a central ethics committee which allows for rapid submission and turn-around of applications and expedited study start-up. Our experienced study team are often called upon to be lead site for multi-site applications and can guarantee a fast and efficient submission process. Our rapid response times also ensure that contract and budget negotiations are dealt with quickly and efficiently.